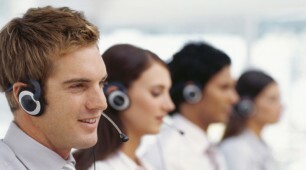 The receptionist is often the first line of contact for clients and customers. It is the receptionist’s job to field requests, answer questions, provide a line of communication between clients and the company, and serve as a buffer between you and your customers. The receptionist can correctly be termed a representative. It can be costly to hire your own receptionist, but nor can you afford to do without. A dedicated personalised service is the answer. A virtual receptionist provided by Virtual Reception Services offers the benefits of having a traditional receptionist, without the cost. There are no insurance costs, no wages, and no extra benefits to pay. You get full service, with no down time caused by sick days or a leave of absence. A virtual receptionist serves your business, your way. 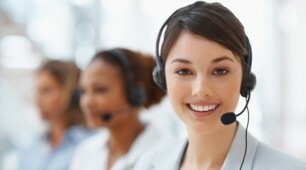 Calls are personally answered with your business name by a receptionist dedicated only for you. Redirect your phone to a uniquely assigned number. Messages are referred back to you in your desired format, including SMS or email. Preferred calls are transferred directly to your nominated phone. A virtual receptionist is equipped to handle a wide variety of tasks, beyond simply answering customer calls. Schedule appointments and keep track of important meetings through your dedicated receptionist. This includes any changes that may be made, such as reschedules or cancellations. It’s about more than just front desk work. Your virtual receptionist can also work as a call centre for customer concerns, or an emergency contact number for travelling employees, such as those in trucking. The receptionist will field calls both from the public and from your own employees and will act out the necessary response. Emergency situations are handled quickly and by your set procedures, with detailed records giving a play-by-play of the situation, including persons involved, location, details of the incident, and any other relevant information. Hiring a virtual receptionist saves you money and, by making you more available to customers, grows your business at the same time. Learn more by filling in this contact form, and you can save today!